The TransRockies – a gruelling bike ride through the rugged Western Canadian wilderness – starts in Fernie again in 2010. It will be a busy weekend in Fernie, with lots to do and see. Make sure you drop in to Fernie and check it out. Fernie Alpine has recieved 40 cms of fresh snow in the last 48 hours. Conditions are shaping up nicely for Easter – make sure you don’t miss out! https://www.fernielodgingco.com/wp-content/uploads/2013/04/logo_white.png 0 0 Vacation Login https://www.fernielodgingco.com/wp-content/uploads/2013/04/logo_white.png Vacation Login2010-03-30 18:37:112014-07-03 18:38:24SNOW SNOW SNOW! https://www.fernielodgingco.com/wp-content/uploads/2013/04/logo_white.png 0 0 Vacation Login https://www.fernielodgingco.com/wp-content/uploads/2013/04/logo_white.png Vacation Login2010-03-04 18:35:112014-07-03 18:36:52Griz Days This Weekend! 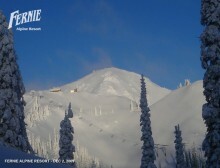 Fernie Alpine Resort opens to POWDER! Fernie Alpine Resort opened Saturday morning to a fresh cover of dry powder and the most snow in 30 years! Huge early season savings available – contact us today to secure your accommodation. https://www.fernielodgingco.com/wp-content/uploads/2013/04/logo_white.png 0 0 Vacation Login https://www.fernielodgingco.com/wp-content/uploads/2013/04/logo_white.png Vacation Login2009-12-05 18:32:252014-07-03 18:34:51Fernie Alpine Resort opens to POWDER! We’ve extended our Super Saver rate season! Check out the details here. Come and find out why! https://www.fernielodgingco.com/wp-content/uploads/2013/04/logo_white.png 0 0 Vacation Login https://www.fernielodgingco.com/wp-content/uploads/2013/04/logo_white.png Vacation Login2009-11-27 18:11:362014-07-03 18:20:28CNN Ranks Fernie! We’ve had a nice dusting of snow overnight and it’s been falling heavily all day – winter is rapidly taking over Fernie… I’m excited, are you? Fernie Lodging Company has limited availability over Christmas remaining – there’s nothing quite like a Christmas in Fernie. Call us now to secure your Christmas getaway. https://www.fernielodgingco.com/wp-content/uploads/2013/04/logo_white.png 0 0 Vacation Login https://www.fernielodgingco.com/wp-content/uploads/2013/04/logo_white.png Vacation Login2009-10-26 18:00:452014-07-03 18:09:32Snow in Fernie! 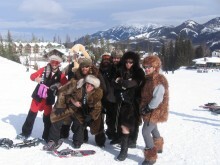 Looking for the Ultimate Ski Bum experience? 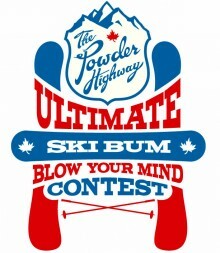 Fernie Lodging Company is excited to be supporting the Powder Highway Ultimate Ski Bum Blow Your Mind Contest! Beginning October 5, 2009 contestants can submit a 90 second video, explaining why they should be the Ultimate Ski Bum, and why they deserve to have their mind blown by one of the most incredible winter destinations on planet earth. 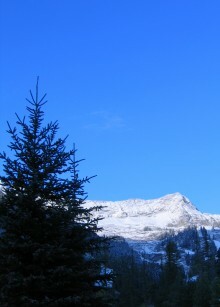 Take one of the most coveted ski destinations on the planet. Add time to delve into it for three entire months, on famed mountain ranges like the Rockies, Purcells, Selkirks and Monashees. Drop in seven deeply delirious resorts, and the highest concentration of snowcat and heli operations anywhere, not to mention endless glaciers, peaks, tree stashes and bowls, all linked together by one wonderously adventurous road, and then make it all free. Throw in cozy accommodation and a sweet ride for three months, one very lucky winner and you’ve got The Powder Highway Ultimate Ski Bum! https://www.fernielodgingco.com/wp-content/uploads/2013/04/logo_white.png 0 0 Vacation Login https://www.fernielodgingco.com/wp-content/uploads/2013/04/logo_white.png Vacation Login2009-10-19 17:55:512014-07-03 18:31:26Looking for the Ultimate Ski Bum experience? 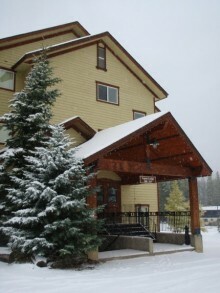 We’ve already seen snow in Fernie – and winter hasn’t even arrived yet! The entire resort was covered overnight – here’s hoping it’s the beginning of a solid base, for a big snow year! And yes, that is the view from our on-mountain call center… jealous? Give us a call and make sure you get to experience what we see every day! https://www.fernielodgingco.com/wp-content/uploads/2013/04/logo_white.png 0 0 Vacation Login https://www.fernielodgingco.com/wp-content/uploads/2013/04/logo_white.png Vacation Login2009-10-08 16:23:152014-07-03 18:10:04Snow In Fernie!